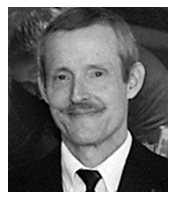 * Dr. Bruce Ivins’ email … 10-4-01 … “I just heard this evening (and read over internet news) that a case of pulmonary anthrax may have been identified in Florida. Is this true, or is this just hysteria?” « CASE CLOSED … what really happened in the 2001 anthrax attacks? does this sound like a guilty man to you? I just heard this evening (and read over internet news) that a case of pulmonary anthrax may have been identified in Florida. Is this true, or is this just hysteria? The only Florida strain of B. anthracis that I am familiar with is V770, which is the parent of V770-NP1-R, the strain used in production of the human anthrax vaccine. The article said that this person was an “Outdoorsman,” and had drunk water from a creek in North Carolina. I know that in the wild in Africa, animals are supposed to be able to get it from water holes by stirring up spores and presumably ingesting and possibly inhaling them as an aerosol. Could this have happened? Please don’t hesitate to give me a call if there’s anything I can do. We are currently testing the virulence (in immunized and unimmunized guinea pigs) of B. anthracis strains from all over the world, including China, and we’ve come up with some very interesting differences in virulence among the strains. This entry was posted on February 23, 2010 at 8:06 pm	and is filed under Uncategorized. 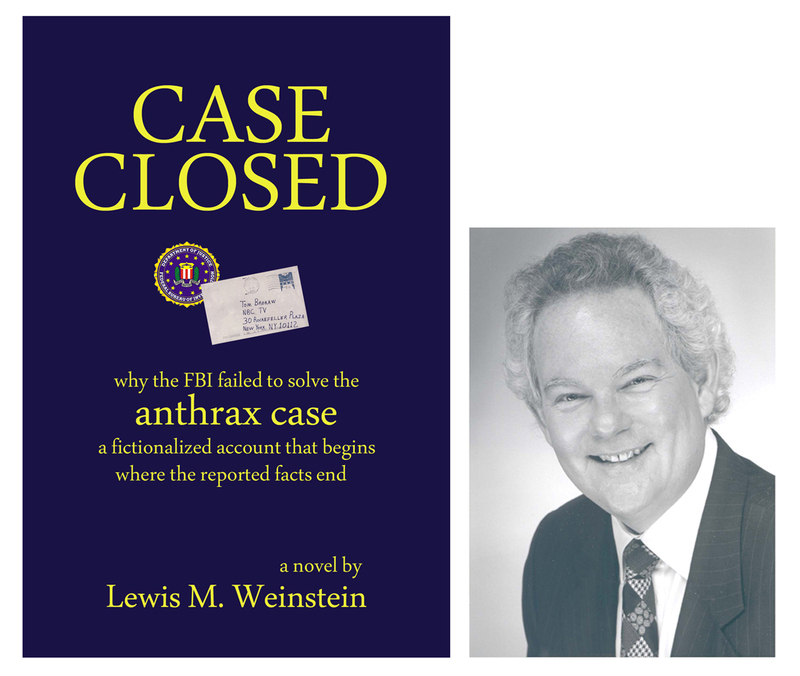 Tagged: ** CASE CLOSED by Lew Weinstein, *** 2001 anthrax attacks, *** FBI anthrax investigation, Ivins' email. You can follow any responses to this entry through the RSS 2.0 feed. You can skip to the end and leave a response. Pinging is currently not allowed. IVINS stepped in and assisted with _________ research projects. IVINS helped predominantly with vaccine challenges using virulent organisms. 1) What if any studies are necessary to follow up these data? 2) What stabilizers are acceptable to the FDA? In my opinion, this shows that half of the rPA had spontaneously desorbed from the Alhydrogel after 5 years, and remained undegraded in the presence of formaldehyde (lane 9), or completely degraded in the absence of formaldehyde (lane 8). Protein that remained on the Alhydrogel multimerized in the presence of formaldehyde (lane 4) or remained largely intact in the absence of formaldehyde, while at the same time having a larger number of breakdown products of small concentration (lane 5). Both of the latter samples contain the familiar charge isoforms of full-length rPA protein. Some trivia. On October 5, 2001, a truck carrying missiles overturned on Route 70 and it was shut down both ways. Residents near the spill were evacuated and traffic was jammed. “A tractor-trailer carrying Navy missiles slid off Interstate 70 and overturned Friday morning, shutting down traffic and prompting the evacuation of the immediate area. The missiles did not spill from the truck. Video broadcast by a Baltimore television station showed the truck lying on its side in a ditch alongside the highway. Jim Hill, an Army spokesman in Washington, said the truck was carrying Navy missiles, but further information was not immediately available. A hazardous material crew from Fort Detrick responded to the scene, base spokesman Chuck Dasey said. Homes and businesses within a mile were evacuated shortly after the 8:40 a.m. accident, said Sgt. Bill Wiegel, a Frederick County emergency management official said. Nearby schools in Myersville and Middletown stayed in session, and traffic was closed in both directions on the interstate. The cargo appeared to be secure, said Cpl. Robert Calo, a state police spokesman. Emergency crews said the driver was trapped inside the truck, but that he was not injured. “Right now everything appears to be OK, but we’re just trying to secure the area to make sure it stays that way,” Calo said. An operator at Tri-State Motor Transit Co. in Joplin, Mo., said the company owned the truck that crashed in Maryland. West Virginia State Police said another truck owned by Tri-State overturned Thursday in West Virginia while carrying 42,000 pounds of military explosive powder. A Tri-State spokesman did not immediately return a call seeking more information. The truck was on its way from Missouri to New Jersey, WBAL-TV reported. The trailer was eastbound on I-70 when it went off the right side of the road and fell down a steep embankment and overturned, Calo said. Quentin Banks, a spokesman for the Maryland Emergency Management Agency, said the truck was in a ditch, but there was no report of a fire or any injuries. Another significance of this email not produced by DOJ and mischaracterized by the author of the Summary — with DOJ delaying production of the email by 1 1/2 years — is that it explains that he (and colleagues) were testing the virulence (in immunized and unimmunized guinea pigs) of B. anthracis strains from all over the world, including china….” Indeed, see the supplement to the journal article co-authored with Patricia Fellows during this period. Now why should it take Lew to get these emails from FOIA. Instead the FBI should have provided the contemporaneous documents relating to what he was doing this period. Instead, in spinning their narrative they find it more convenient to rely on a 2005 interview while withholding his 2002 statements as to how he was spending his time. Now there are 7 years of emails to go. The government does not appear to have the equipment or personnel to do it with expedition so I recommend they comply with FOIA by making the next 7 years available for inspection and copying and then some blogger can upload them overnight. The FBI now also has to return a copy of Lab Notebook 4010 to USAMRIID so it can be provided in response to the FOIA request. His lab notebooks will detail how Dr. Ivins spent his time. In fact, Ivins email is not nonsensical – any more than HHS head Tommy Thompson’s statement that Bob Stevens was a keen outdoorsman who drank from a stream. But it serves the FBI’s purpose to take almost anything Ivins did or said and turn it into inculpatory “evidence”. So Bruce Ivins is writing the email about 10 p.m. 5 hours earlier Tommy Thompson had suggested the nonsensical explanation, not Bruce Ivins. Dr. Bruce Ivins was gently leading the CDC correspondent to recognize that North Carolina had not been dry, especially dusty, where such an explanation might make sense for for grazing cattle (with their nose to the ground and dust being raised). As to a human drinking from a stream in North Carolina, he was suggesting it didn’t. Note also that this is proof positive that Dr. Ivins knew that the first batch had killed. The mailing of a second batch — of a greater potency — would certainly also kill. Florida Man Contracts Anthrax Authorities Insist Bioterrorism Not A Possibility WASHINGTON, 5:09 p.m. EDT October 4, 2001 — A Florida man was hospitalized with a case of anthrax, but authorities are careful to insist that there is no evidence of bioterrorism. Health and Human Services Secretary Tommy Thompson insisted that the man’s case is an isolated one. While Anthrax can be used in biological weaponry, a bioterrorist attack would result in many victims, and there are no indications that anyone else has anthrax at this time. Anthrax is not contagious or communicable; that is, it cannot be passed from person to person. The man is a 63-year-old from Lantana, Fla. and is of British descent. It appears the man inhaled the bacterium. Thompson mentioned that the man drank unprocessed water from a stream while traveling to North Carolina last week, but the incubation period of the anthrax bacterium makes authorities believe the man was infected in Florida. Authorities are advising anyone with severe upper respiratory ailments to go to the hospital. Anthrax can be treated with antibiotics if caught early enough. Thompson said that there are enough anti-anthrax antibiotics to treat 2 million people for 60 days. Thompson says the “system works” — since health officials in Florida quickly reported the case. He stresses officials have an adequate supply of drugs to combat the illness. Florida Lieutenant Governor Frank Brogan says at first, officials in Palm Beach County thought the man had meningitis, but tests showed he had pulmonary anthrax, an extremely lethal disease. One person contracted anthrax in Texas earlier this year, but it was a so-called cutaneous case, resulting from handling animals. Pulmonary anthrax, in which the anthrax rests in the lungs, is extremely rare. Previously, the most recent documented case of pulmonary anthrax was in 1976. 8/18/2008 is a very important 302 that deals with this precise email and issue. It is of a CDC employee, the recipient of the email, is misremembering the sequence of events and the email. The Amerithrax Summary relies on his recollection rather than the documentary evidence — the emails. Which is BS. The CDC employee reasons that Ivins called him before it was in the news. To the contrary, he called him 5 hours AFTER it was in the news. Ivins was steering him away from thinking that Tommy Thompson’s explanation was credible — because it was a person, not cattle, and North Carolina was not especially dry and dusty. The CDC person opined Ivins being upset that more wasn’t in the news when that is not part of the email at all. Good catch. Incredible – pure, manufacured nonsense. A case made up out of whole cloth.